The Supreme Court of Nigeria on Friday ordered Senator Sani Abubakar Danladi, representing Taraba North Senatorial District, to vacate his seat and refund all salaries and allowances he received within 90 days. The court also declared Shuaibu Isa Lau, as the senator representing the constituency. The order was contained in the judgement of the court on the appeal filed by Lau. Both Danladi and Lau are members of the Peoples Democratic Party (PDP). Lau had challenged the decision of the Court of Appeal that upturned his victory during the primary elections. He claimed that he was wrongfully substituted. The apex court also ordered the Independent National Electoral Commission (INEC) to withdraw the certificate issued to Danladi and issue a fresh certificate of return to Lau. The court in the unanimous judgment of a five-member panel held that the appellant had the right to participate just like any other candidate in the primary election. The court added that if Lau felt that his right was infringed upon, he had the right to approach the court. From the totality of the appeal before this court, all the issues are resolved in favour of the appellant. His substitution at the primary election is null and void since the appellant scored the highest number of votes, the only option is to declare the appellant as the winner of the primary election. This court hereby orders that the appellant be issued with the certificate of return and the respondent should immediately vacate the seat. 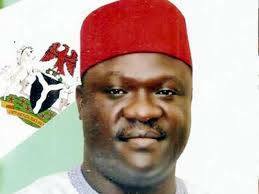 He should return to the National Assembly, all salaries and allowances received as a senator within 90 days.